Al Irwin was a Canadian wide receiver who played seven years in the CFL from 1964 to 1970. 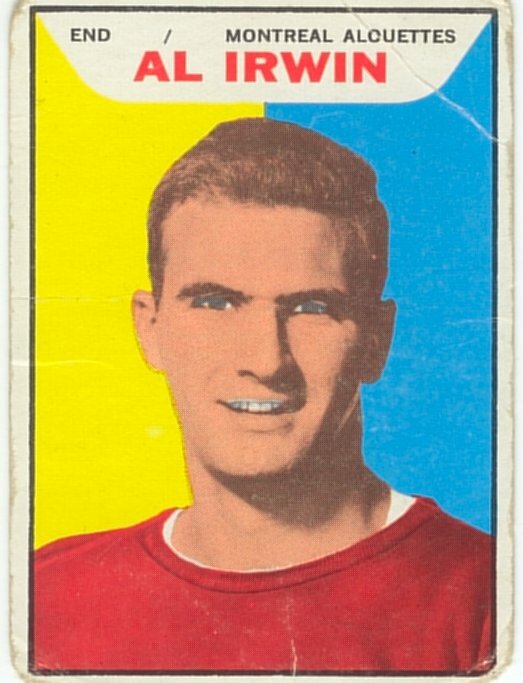 Irwin was born in Toronto, and played his college football at McMaster, before joining Montreal in 1964. Irwin played two years with the Alouettes (1964-65) before moving to Toronto for three seasons (1966-68). With the Argos, Irwin had his best season in 1968 with 30 catches for 541 yards. Irwin playedd for Edmonton in 1969 and had a similar season, 26 catches for 445 yards. Irwin finished his career in 1970 with Hamilton.